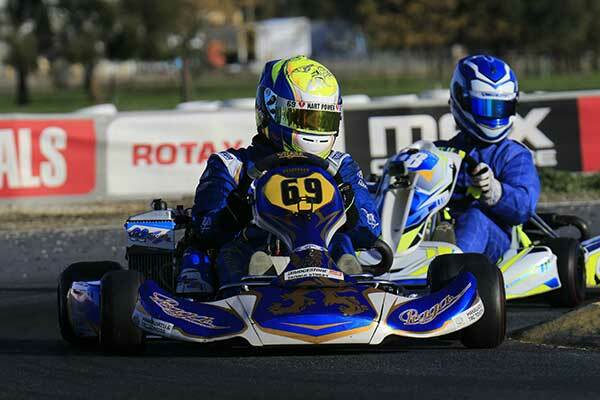 Three resident Kiwi karters – Josh Hart and Jackson Rooney from Palmerston North, and Sebastian Manson from Auckland – claimed podium class finishes at the fifth round of this year’s Australian Rotax Pro Tour at Wodonga on the Victoria/New South Wales border on Sunday. Youngster Sebastian Manson proved the best of the bunch with a swash-buckling second place in the Mini Max class Final at the meeting, while veteran Hart and teenager Rooney claimed third places in their respective Finals, Hart’s in 125 Rotax Light, Rooney’s Junior Rotax. 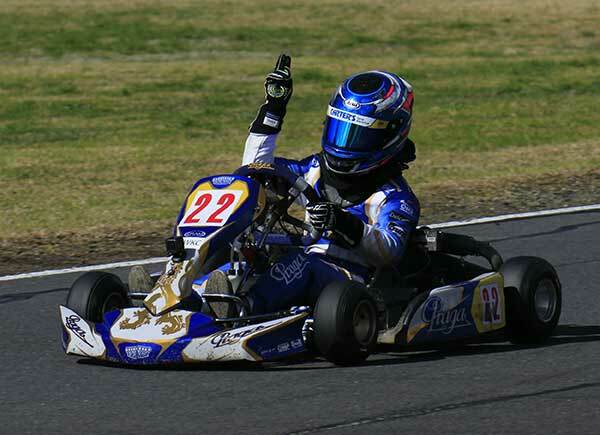 Early season class pace-setter and round winner Ryan Wood from Wellington, also did well at what was the penultimate round of the 2018 Australian kart series, finishing fourth in the Junior Rotax Final. The Rotax DD2 class also saw a strong showing from all three Kiwis contesting it, with Tauranga’s Sam Waddell, top female driver Madeline Stewart from Wellington, and Joshua Bethune from Auckland finishing the Final in 7th, 8th and 9th places respectively. 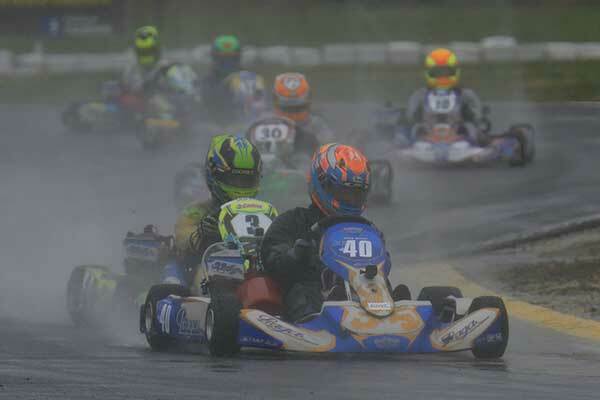 Unfortunately luck was not with the two other Kiwis, Melbourne-based Ashleigh Stewart and Kapiti Coast teenager Michael McCulloch who were both contesting the 125 Rotax Light class. Though she qualified 15th Stewart’s chances of a top 15 finish were thwarted by a fuel starvation issue which saw her kart slow off the turns and which her team could not find a cure for, leaving the female ace back to 24th in the third heat but after a concerted effort, back up to 19th in the Final. Michael McCulloch didn’t qualify as well as he had hoped (21st) but made major gains in the heats (to 12th in the first one, 9th in the second and 13th in the third, then finished 9th again in the Pre-Final. Any hope he had of improving further were dashed on the first lap of the Final however, when his race ended with a dnf. Point-wise both Hart and Wood hold third place overall in their respective classes with Jackson Rooney fifth in Junior Rotax and Sam Waddell fifth in Rotax DD2. Sebastian Manson is 7th overall in Mini Max, while Joshua Bethune is now eighth overall in Rotax DD2, with Madeline Stewart 9th. 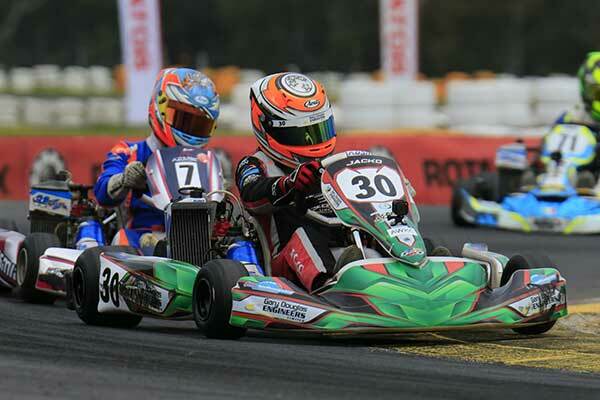 Interest in this year’s Australian Rotax Pro Tour now turns to the final round, to be held over the September 15-16 weekend at an all-new international length and spec kart track at the new The Bend motorsport complex at Tailem Bend in South Australia.